MOD-4DI-M module is an innovative device that provides a simple and inexpensive extension of the amount of input lines in popular PLC. 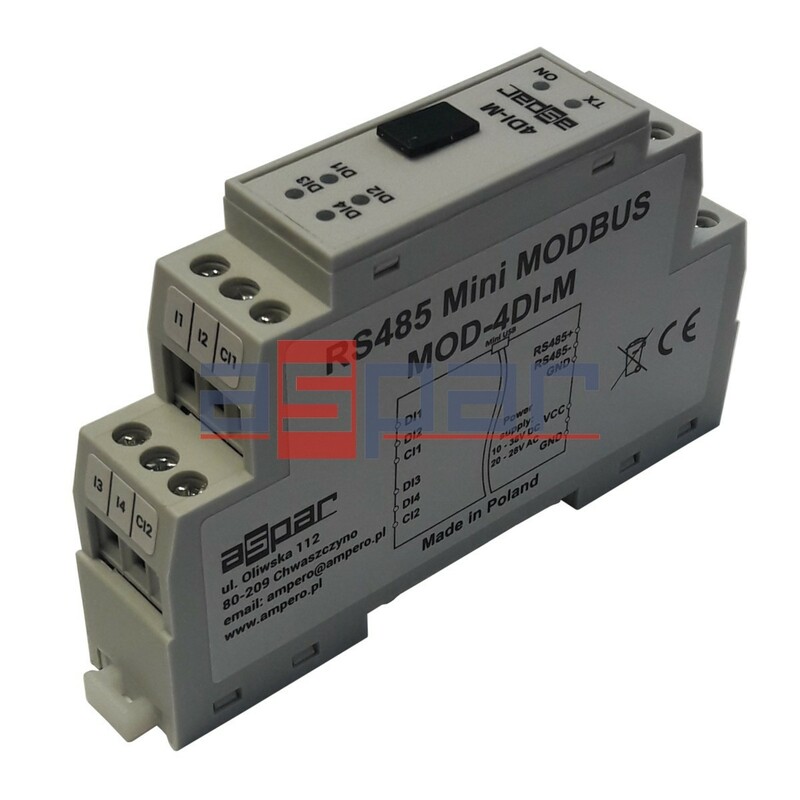 The module MOD-4DI-M communicates with all commercially available PLCs and other devices that support popular Modbus Master protocol. 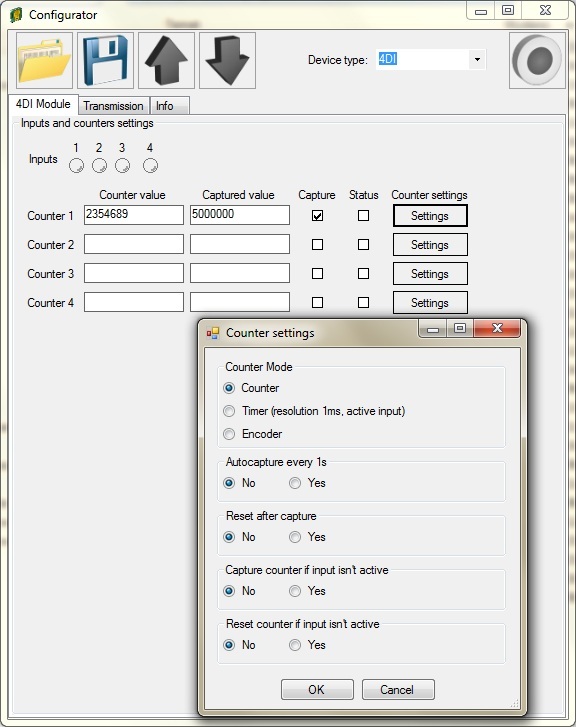 The module has fast FRAM non-volatile memory, which stores the counter values and the captured values. As a result, even after a power failure, these values are stored and available for use when the power returns.